Just Above The Pond - A Short Film By S M A Vasant is an event that took place on 22-Jan-2006 in Hyderabad. Shortcuts is a non-profit organisations that aims to promote creativity through the art forms of short-films and documentaries. This month their mini movie festival will happen at the Prasad Labs Preview Theatre, and feature movies on disadvantaged or troubled childhoods. From as shocking as child prostitution to as irritating as generation gaps to as tragic as mass HIV deaths, these films aim to to bring to Hyderabadis’ notice the voices of many bruised hearts of children as voiced by many young filmmakers devoted to children's issues. Hence the theme – “Children of a lesser God” for the 10th edition of ‘Short Cuts Monthly Mini-Festival’. An array of four short films that will reveal some naked truths about what childhood ought to be like and what it is like for some. An old man and his wife live with their orphaned grandson in a small village. The eight-year-old grandson accompanies his grandfather on his fishing trips to the nearby pond. The old man is proud of his fishing capabilities but the young boy is critical of his grandfather’s approach to fishing. The old man views the criticism as insolence. A rare fish is sighted in the pond, both the old man and the boy are very eager. Who will catch it? ‘Thakkayin Meehdu Naangu Kanagal’ is a remarkable short story in Tamil based on which this short film is made. The way the theme of generation gap is handled is amazing and makes the film a must-see. SMA Vasanth began his career as a journalist and short story writer and has more than 500 articles and 100 short stories to his credit. Finesse, class and being meticulous are his hallmarks. His films have won several state and Filmfare awards. His successful films include Keladi Kanmani, Nee Paadhi Naan Paadhi, Aasai, Naerukku Neer, Poovellam Kaetuppar, Appu, Rhythm etc. 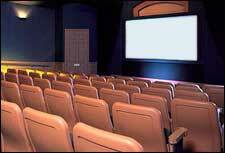 Screenings to be held at Prasad Labs Preview Theatre on the 22nd Jan 2006 are exclusively for members and invitees only. For further details please contact 040-30603311 or email: pasha@shortcuts.in Please visit www.shortcuts.in for more details on the filmmakers and their films, and also the general activities of the film society. Be the first to comment on Just Above The Pond - A Short Film By S M A Vasant! Just use the simple form below. fullhyd.com has 700,000+ monthly visits. Tell Hyderabad what you feel about Just Above The Pond - A Short Film By S M A Vasant!